On Snoke’s ship Rey tells Kylo Ren that she saw his future and she will help him. He tells her that she will stand with him then he takes her before Snoke.By the way, we are now well past he half way mark in this new trilogy and I still haven’t gotten over how silly Snoke’s name is. Meanwhile, Finn, Rey, and Benicio del Toro are on their mission to shut down the hyperspace tracker so that he Resistance may escape. Unfortunately they are ambushed by Captain Phasma and the evil BB-8. If they do shut down the tracker it looks like the Resistance will be too busy fighting among themselves to do anything as Holdo has begun fighting back ad there is a giant stun gun battle happening on the bridge of their command ship. In the middle of the battle Leia walks onto the bridge in a white hospital robe and shoots Poe. Why? Why does anyone like Poe? He’s not even a lovable rogue, he’s an impulsive, insubordinate oaf who does nothing but get people killed. He should have been killed by his own commanders years ago or at he very least locked up in the brig. I’m not a military man but I can’t imagine that any amount of his recklessness would have been tolerated by any military that has ever existed even the results were largely positive. 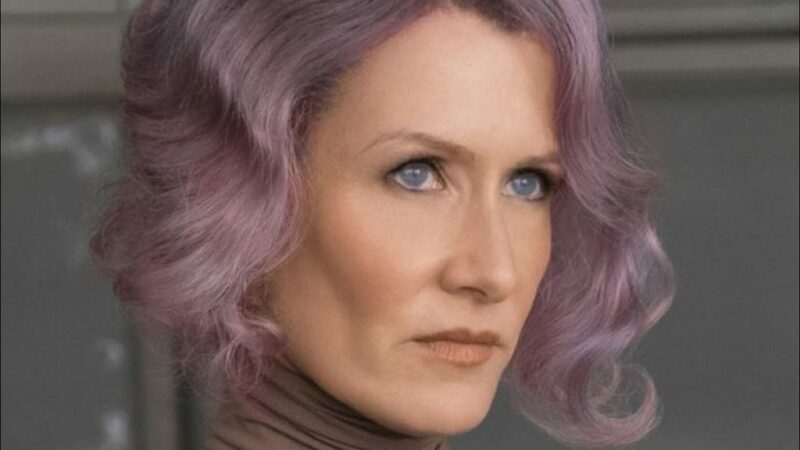 Holdo tells Leia as they plan their escape that in order for the transports to escape that someone needs to stay behind and pilot he cruiser. It’s not really explained why that is the case if they’re just going in a straight line and waiting to run out of fuel. It’s also not explained why Leia allows her second in command to volunteer for this. It serves the plot to show how brave Holdo is as a leader but doesn’t really make a lot of sense beyond that. If someone was going to sacrifice themselves for this reason, why wouldn’t it be a lower level member of the Resistance. Also, with the technology present it seems odd that they couldn’t program in some sort of autopilot. Apparently Southwest Airlines has more advanced technology than the Resistance. Back on Snoke’s ship he tells Kylo Ren that he though his equal in the Force would arise but he always thought it would be Skywalker. Snoke also revealed that it was he that breached their minds and put them in communication with each other. 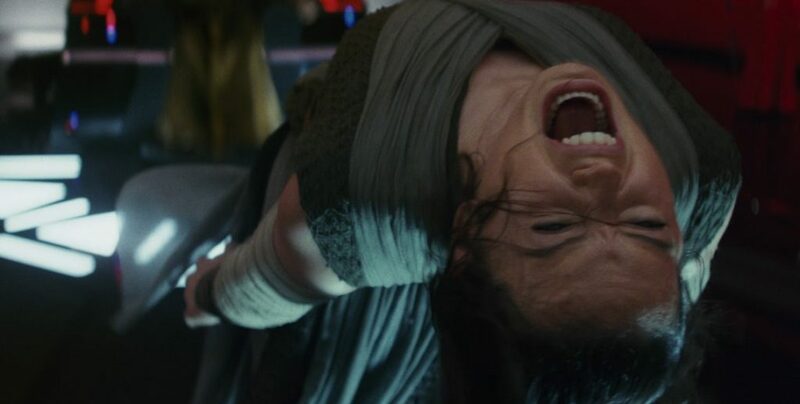 He then uses the Force to throw Rey into the air and announces that she will give him Skywalker. 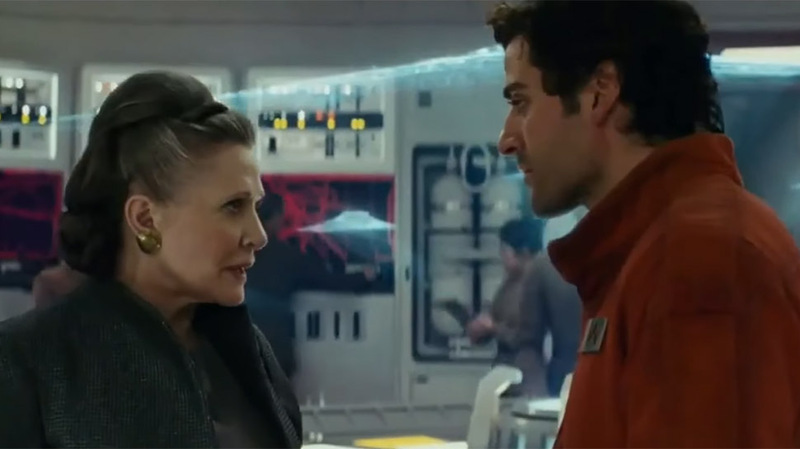 Poe wakes up on the transport and Leia summons him over. 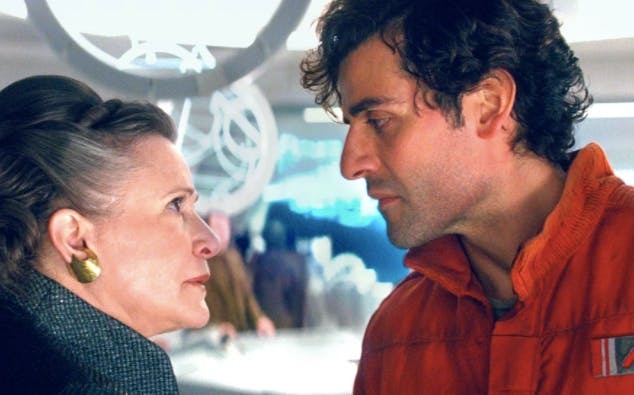 At this point she tells Poe the plan that he probably should have known since the beginning. Sure, he’s an idiot, but they’re clearly huge fans of his so I’m not sure why they left him out in the first place. It would have saved them a lot of trouble and a lot of people from being shot with stun guns. 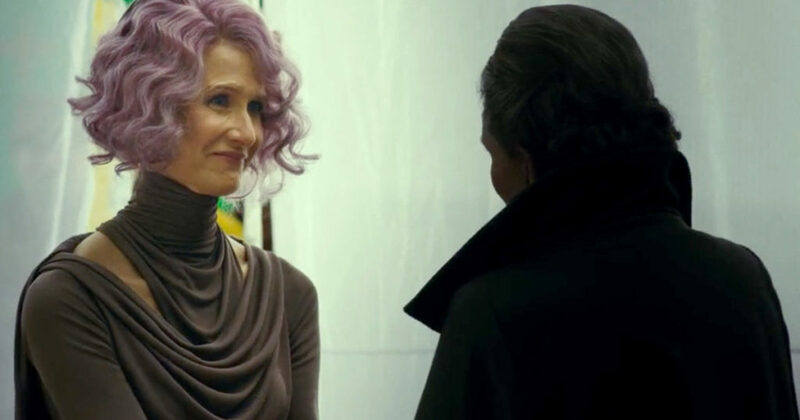 Holdo is revealed as some sort of genius because she knew that the First Order was tracking the main ship but not the smaller transports. 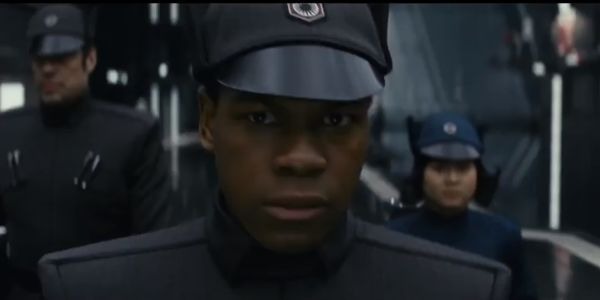 Finn and Rose, for some reason, are brought before General Hux. 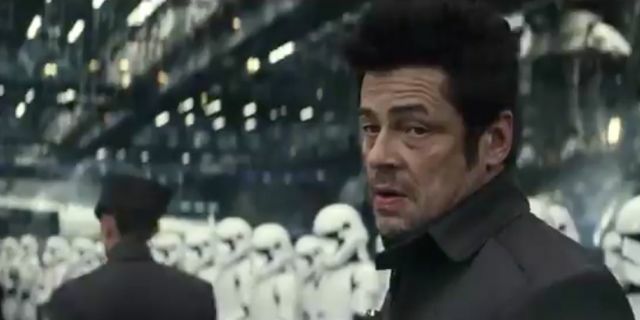 It’s not clear why until they trot out Benicio del Toro to reveal that he has betrayed them. If you’re wondering if he’ll be a complex character like Lando Calrissian who was backed into a corner and had to make a difficult decision, don’t waste your time. He’s not. He’s just a double-crossing jerk and we’ll never see him again. He won’t come flying out of the sun to save the day. He won’t have his men ambush some First Order troops to release Finn and Rose. He’ll just fly away. Maybe we’ll see him again in the next movie but I highly doubt it. He was just someone that further nullifies this entire dumb plan to shut down the tracker. Next time . . . Snoke, Holdo, and Phasma all prepare for their roles in the final movie!